This is pretty long period of time. To take the best of your car for this 6 years and to avoid constant repairing can give you, you better avoid 10 mistakes many of us make when buying a car. One day you probably decide to sale your car. That’s why you have to consider some important features. First – the car brand matters. There are brands that are more or less popular. Second – you need to thing vehicle specifications and engine. Third – don’t forget about its color. According to paints supplier PPG Industries white is the most popular car color in USA with 35% of all sold vehicle. It is follow by black with 17% and silver and gray with 12%. White is also the top choice in South America, Europe and Asia. Bright colors as orange or green are not so popular. So think twice before you take a purple sedan. You might have trouble when you decide to resale later. Many people only take price as consideration. They don’t thing about future technical service, insurance or other expenses. An average American spend 5% of their income for car made according statistics data of yourmechanic.com. Year by year these expenses will increase and it might aren’t agree with your salary. That why you have to think everything too early so your car don’t become family trouble. Lets talk with numbers. If you choose premium brand as BMW or Mercedes, you should prepare to pay average 17 800 $ for BMW and 12 900 $ for Mercedes for 10 years of maintenance. USA brand Cadillac are next with 12 500 $ costs for such period of time. Think about your family makes and decide if you want spend your money for your vehicle after you purchase it. May be a Toyota with 5 500 $ maintenance cost is just fine. Before you buy a car you should think about what you need, because most of additional items are very expensive and we don’t need if we not using them. For example some drivers don’t smoke inside their cars. In these case they don’t need an ashtray. An additional corrosion treatment is useless as well because your car already have a corrosion treatment, but all safety devices are really important. So choose those carefully. Additional airbags, passenger sensitive system, electronic stabilize system and ABS are things you don’t want to save money for. In case you are kind of person that always want to have all new everything, be the smartphone, computer or a car, here some important info for you. Try not a buy a car that it just relies. For the first 3 years the company collect information regarding all features and defects to improve their future cars to be more reliable. The best choice are the car model that are not more than 3 years old and it already well known. When you want to buy a car, don’t think about your personal preferences, but try to predict how many times going a travel by car, how many passengers will be there and so on. For example if you just need a vehicle that you drive in the city, think about a sedan that doesn’t consume so much fuel. If you have a big family and you travel a lot choose a huge minivan or hatchback. SUV are useful for people that usually drive offroad. If you can’t afford it, its better to buy e premium class car. Its not just a brand or prestige associate with it. It also mean better safety, high performance and increased comford. A luxury car can take your driving to a whole new level. In case you can afford to buy a car from the house, you better focus on a technical characteristics. You can buy available SUV under 20 000 $ that you provide you comfort, safety and some cool features such touchscreen and Bluetooth connection with your phone. When you choose a car, don’t trust your salesmen only. Even know they are proffesionals, they are interesting to sale a car to increase their income and commission. Got as much information as possible from reliable websites as VINTurbo and your friends. 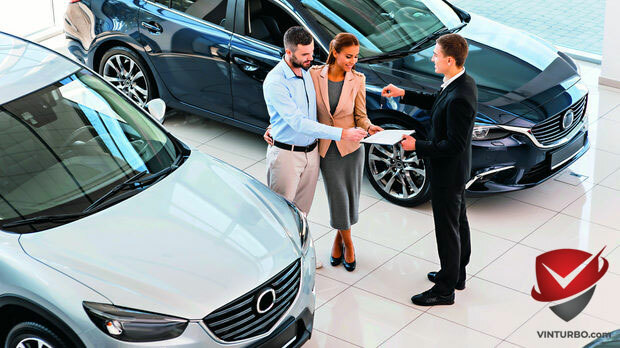 Consult with a specialist and make test drive to your chosen car. Make a checklist with features you need to check and think that you will be drive your new vehicle. Try driving in a highway and park in uncomfortable position. That’s you know what to do in the future. Examine everything to help yourself to make a right decision. The best time to buy a car starts in December and reaches its peak in March. During these period there are a lot discounts and offers in all dealerships. Additional there is a bonus in the end of the year. The dealers try to sell as much as possible cars so its easy to get a lower price. There are nothing wrong to try to get a lower price for your feature purchase. Try to calls and send emails to different dealerships, say you have a better offer and ask if they can beat it. The competition between some car dealers are very high and some drivers use that to get a better price. Don’t be a too much in a hurry to purchase a vehicle. Remember that you may regrade to premature decision in a long term. Spend some times to get an information, consulting specialist and try to see all bed and good things in a car. Don’t be afraid you miss a dealer lifetime. You must know that he will come out as you say you “ready to buy”, so you don’t let him pressure to make a wrong financial decision. Think what a best for you, sleep on your decision and only then take it.